Hard Drive Canberra, Hard Disk Drives: Seagate, Samsung, Western Digital/WD HDD. 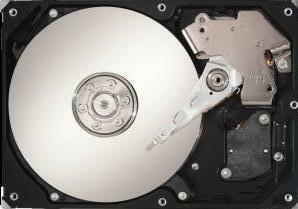 Canberra Hard Drives - Aussie PC Fix, Belconnen, Canberra, ACT. What does a hard drive do?, Is a hard drive different to RAM?, What's inside a hard drive? How much space is free on my hard drive? How big is my hard drive? Hard Drive / Hard Disk Drive / HDD vs. Hard Disk??? What is it called ?? Why is my Hard Drive smaller than what it says in the specifications? Megabytes \ Mebibytes \ Megabits \ Mebibits? Hard Drives are designed to be a permanent storage for keeping your data over the long term. This is similar to writing down information in a notepad so you can read it again later. Hard drives are usually assigned as the C: drive in a Windows computer but may also occupy different letters depending on how the computer and drives are set up. Is a hard drive different to RAM? A hard drive is very different to the much faster but smaller and more expensive RAM because RAM is only used for quick temporary storage, with any data in RAM being lost if the PC loses power (including your unsaved file!). When you save a file you are writing it from the RAM back to the hard drive so that you can retrieve the file later on. The hard drive is where all you important data is saved over the long term - all your important personal documents e.g. word documents, email, photos, as well as Windows and all your installed programs. It is important to backup data on your hard drive for safe long term storage. What's inside a hard drive? The hard drive contains rotating mechanical flat hard disks called platters (see picture above) that look very similar to the the inside of a floppy disk - remember those old floppies people used to carry around before USB flash drives took over? A hard drive usually also has more than one (and also double sided) platters (like LP records stacked on top of each other), so a hard drive also has multiple heads to read each side of it's disks/platters. The hard drive is hard because it uses rigid/hard disks that do not flex like a floppy disk. These hard disks hold a magnetic charge exactly like an old casette tape or VCR tape and this is where all your data is saved when your computer is turned off. The hard drive is also mechanically similar to an old record/phonograph player. It has a head/needle which skims over the media to read and write data, except the hard disk head travels on a bed of air only millionths of a meter (nanometers) above the surface and must not actually touch it - otherwise a hard disk crash may occur and data may be lost! Hard drive crashes may occur because they are bumped or lose power (especially when the PC is writing to the disk). Hard disk drives may also crash or lose data if they are dropped (many external drives are at risk), if dust gets inside or the hard drives are simply old or have a design fault. New computers bought over the last 3-4 years will usually take SATA drives which are more common, larger, faster as well as cheaper! Most motherboards with SATA capability usually have 2-6 SATA ports but usually also include at least one IDE port. As SATA drives have become more popular, larger size and also dropped in price over the last few years they have become a popular upgrade. Most popular sizes are small replacement drives (e.g. 160GB/320GB) and also the best value drives (MB/$) with 500GB and newer 1TB and 1.5TB drives offering best bang for buck in terms of storage space. Older PCs may only accept IDE hard disk drives (unless an expansion card is used) but usually also include two IDE ports. IDE drives are also known as E-IDE, ATAPI and PATA, but were previously named and labelled just as ATA. Anything from about 10GB up to around 500GB are common IDE hard drive capacities in use. Motherboard IDE ports can share up to two IDE drives on a single cable, while SATA drives just use one SATA port each, but SATA cables are thinner (for better airflow in your PC case, and are also much neater!). Note many older DVD and all CD drives are also IDE drives and share these ports with the hard disk drives. If you run out of SATA or IDE ports you can usually add more by adding an expansion card, e.g. PCI card. or a SATA-IDE converter. SCSI drives are commonly found in computer servers, usually in high performance business servers. A server serves data and content to clients - e.g. this website is on a web server computer serving web pages to you. Servers are usually accessed by multiple people throughout the day and therefore can need fater and more reliable computer components such as hard drives. SCSI is recommended in these high demand disk access situations for their higher performance but comes at a much higher cost. We do not currently sell SCSI drives, only SCSI controllers which we stock for emergency service on SCSI tape drives and SCSI hard drives. SATA stands for Serial ATA, while ATA stands for AT Attachment. ATA was originally known as PC/AT Attachment as introduced by IBM's second generation computer called the PC/AT - a 286 computer from the 1980s. SCSI stands for Small Computer System Interface. Desktop computers usually use a larger 3.5 inch hard drive which are the largest size and also the cheapest. All 3.5" hard drives listed above rotate at a speed of 7200 RPM/revolutions per minute which is now the standard speed of these type of disks. Older 3.5" hard drives may run at only 5400 RPM or slower but we do not stock any slower 3.5" hard drives. There are also more expensive 10 000 RPM hard drives available, please contact us for pricing for these. Laptop and notebook hard disk drives use a smaller 2.5 inch form factor which are also usually better designed to handle small knocks and bumps while transporting your portable PC. All 2.5 hard drives listed above rotate at 5400 RPM which is now the standard speed of these type of hard drives. Older 2.5" hard drives may run at only 4200 RPM or slower but we do not stock any slower 2.5" hard drives. Some smaller devices and subnotebooks may also use a smaller 1.8 inch hard drive, although we can perform data recovery on these hard drives, we do not usually sell them. 1.8" hard drives can be ordered as replacements if required after your Canberra data recovery service. Hard disk drives have a very small amount of internal RAM called a cache. This fast memory acts as a buffer for data being read/written to the hard drive and increases the overall speed of the hard drive. Without a cache lots more data would get bottlenecked in the main computer RAM waiting to be written to the hard drive. The hard drive fills up it's cache mostly while it's waiting for the spinning disks/platters to get into position (latency). Most smaller capacity hard drives have an 8MB cache, while larger hard drives will have 16MB or 32MB of cache. In most cases a larger cache equates to a faster hard drive but this is just one of the design specifications that affect the final speed/throughput of the hard drive. The RPM (revolutions per minute) of a disk, as well as other factors, affect it's actual speed. Other factors of hard drive speed include the initial latency seek time which is the time in milliseconds it takes for the hard drive to get to the right position to read/write data, as well as the data rate throughput which is the speed the drive will read or write the data after it is in position in MB/s. How much space is left on my hard drive? How big is my hard drive? How much hard drive space do I need? What size hard drive should I buy? Hard disk drive capacity today is usually measured in GB or TB. 1000MB/megabytes is called GB/gigabyte, and 1000GB/gigabytes is called 1TB/terabyte. The best value hard drive for getting the maximum amount of gigabytes per dollar at the end of 2009 are currently 500GB-1500GB 3.5" SATA capacity hard drives for desktop computers. Many computers sold also have 160GB, 250GB, 320GB or 500GB drives which is fine for many users who don't have thousands of photos or large home movies, or who don't download files such as music and movies from the Internet. 640GB is also a popular choice if stock is available. Laptop drives are smaller in capacity due to their smaller 2.5" platter size, with most new laptops having between 80-500GB size hard drives. Finding out how much space you have on your current hard drive as well as it's size can give you a good indication of how much space you use. Saved videos/movies take up a large amount of hard drive space, other large sized files are usually from games, pictures/photos or music. Of course it depends on the number of files you have as well as their size - if you plan to grow your data storage requirements then you need to plan accordingly. A great rule used to estimate the size needed for your new hard drive said "Estimate how much space you need then double it! ", which while being very simple allows for your inevitable extra growth and 'the extra space you didn't budget for'! Though we recommend "FOUR times what you think you need: buy a BACKUP DRIVE". A backup of your data is very important to ensure long term storage of your important files. If you don't have at least two copies of your data then you may lose it if the file gets corrupt or if the hard drive fails. All hard drives will fail sooner or later - they are a fragile mechanical device that will at least wear out or fail in another way. To find out how much space is left on your existing hard drive(s), as well as it's total size then you can open My Computer by double-clicking it from your desktop or selecting it from your Start Menu. If your view looks different from below, select the View menu at the top and then Details. The following picture shows 3 drives which are all critically low on space - especially the Windows C: drive! This computer was running slow until we freed up some space on the C: drive by adding another hard drive and transferring the existing data across to the new hard drive. Windows drives should have at least 1GB of Free Space otherwise your computer can slow down, but more commonly computers slow down because they do not have enough memory/ RAM or are infected with a virus or spyware. Though many people wrongly assume their computer is running slow because they have "too much stuff saved/stored on the computer" (e.g. photos/videos), but for most people their hard drive has ample free space and it is actually memory/ RAM that the computer is lacking. Brands of HDDs - Which brand is best? The best value drives over 2009 quickly moved up each available size from 320GB, with 1000GB offering best value at the end of this year. The new 1TB and 1.5TB size drives have now taken over as the best value capacities, with Seagate recently dropping prices to match near the value Samsung hard drive. Many Seagate 7200.11 drives were plagued with firmware issues but the new 7200.12 drives have rectified this issue. If you have a Segate 7200.11 drive, please see below for more information and see if you require a firmaware update: 1, 2, 3. Links to the Seagate 7200.11 firmware updates are listed here. Seagate has removed the original Barracuda firmware page from their site. Aa replacement page here now just says you should contact them. Aussie PC Fix only stock and recommend purchasing hard drives manufactured by Samsung, Seagate and Western Digital/WD. Drives V2 - Is it logical ? ?, Please Explain ? All refer to the entire assembly of the mechanically spinning hard disks, circuit boards and other internal parts found inside computers, as shown in the picture above (with it's top cover removed!). The word hard disk drive can be shortened to hard drive and abbreviated to HDD. A hard disk is technically just one of the platters/disk inside a hard drive but many people mistakingly refer to the whole drive as a hard disk. The actual hard disk is the large round circular platter in the picture above but usually there are 3 or 4 of these hard disk platters stacked on top of each other, which make up part of the whole hard drive. See pic at top for close up of hard disk platters and description of hard drives and hard disks. Many people also confuse the outside casing of the computer - really the PC Case/Box/Chassis for a hard drive, probably because when someone points to a hard drive they usually point to the side of a PC case! In the same way, many people say hard disk when they really mean hard drive/hard disk drive because the hard disks are inside the hard hard drive. In the early days of computing a hard drive included just a single hard disk platter! The word drive often refers to a computer device that is used for data storage e.g. a Floppy drive, while the word disk usually refers to the actual read/write media e.g. Floppy disk. For hard drives and disks, the hard drive or hard disk drive is the entire drive unit, which includes one or more writable hard disks/platters inside. The word disk usually refers to the physical media e.g a Floppy disk, which stores the data for later retrieval. The media is usually required to be inserted back into its drive for the data to be read again, but in the case of hard disks the disk platters are usually only removed from their hard drives when hardware data recovery is needed. A disk usually refers to magnetic media storage such as a floppy, ZIP, or hard disk, while disc officialy refers to optical media such as a Compact Disc and DVD. Drives V2 - Is it logical ?? Hard disks may be split/partitioned into more than one partition which are usually referred to as different drives, each having their own drive letter. Using drive in this way to refer to logical partitions, two drives may actually be located on the same hard disk drive. You can also do the reverse and combine two hard disk drives to act as one logical drive, e.g. when using RAID or simply by changing the Windows Disk Management option to assign a drive on a second HDD as a folder on the first HDD thus combining them. This difference comes down to the fact that computers count in binary numbers which is a numbering system based on factors/multiples of 2. Many countries around the world are metric &/or decimalised which means their numbering or currency systems are based on factors of 10. Humans find decimal easy to understand and any multple of 10 such as 100, 1000, 1 000 000 are easy for us to use. A computer using binary stores its numbers most efficiently in factors of 2, so it's easier for your PC to store numbers such as 1, 2, 4, 8, 16, 32, 64, 128, 256, 512, and 1024. For example the decimal number 1024 is stored in binary as "10 000 000 000". Binary only uses 1's and 0's to store it's numbers. Hard drive manufacturer specifictaions state "1GB = 1000 x 1000 x 1000 Bytes = 1 billion Bytes"
Windows shows as "1GB = 1024 x 1024 x 1024 Bytes = 1 073 741 824 Bytes (approx 1.073 billion)"
750 x 1.073 billion Bytes ~= 805 306 368 000 Bytes ~= 806GB! That's why a new 750GB hard disk as written in the specifications or on the box only shows up in Windows as approximately 698GB in size (some is also used up in formatting!). Megabytes\ Mebibytes \ Megabits \ Mebibits? We do have a official standard from 1999 by the IEC / International Electrotechnical Commission which has been adopted by many standards bodies and organisations (e.g. IEEE, NIST, EU), as well as governments around the world. But still after many years (1999) these standard terms don't get quoted too often. Windows and other operating systems still use the old standard of "1MB = 1024kB" but the binary version of a megabyte (220 Bytes) has for some time been officially called a mebibyte and was defined to avoid further confusion of the terms. The IEC standard will only become more popular in public and media use in the future as people demand to be more precise in their measurements and calculations, and come to understand the terms while getting their tounges around the pronounciations! Maybe they could have picked slightly better names and this is likely one reason why the terms are not yet in wide popular use, or perhaps terms such as megabyte and gigabye will forever be misused and misunderstood... but as our storage gets larger and the Internet gets faster the difference between gigabytes and gibibytes becomes more noticable. The binary terms are becoming increasingly known and used but it may not be until Microsoft makes a fundamental change to the most popular operaing system, Windows and revises the Windows Explorer interface that these official terms will be finally accepted and having a chance to be understood across the board. A new standard is great, if it ever gets adopted and used, and can stop future confusion... but the revised standard itself causes even more new problems in changing an already widely used standard of "1MB = 1000KB". Whenever someone writes MB the reader does not know if they are adhering to the new standard or not. The piece may also have been written before the new standard came into 'practice' and/or may not have a record of the date when it was written. It would have been better to have kept the old standard and introduced a new terminolgy for the mebibit ... and one that doesn't sound so strange... but we don't write the rules... A good source for more information on this topic is from Lyberty.com, along with the links throughout this page. A bit is an abbreviation for binary digit. A bit is the smallest unit of data stored in a digital computer, it is either a zero or one and is abbreviated as lower case b. Each bit is stored in the computer by an electric charge (e.g. in RAM) or read/write from a magnetic (hard drive) or optical (DVD,CD) recording. Bits are usually combined into groups of 8, 10, 16, 32 or 64 for easier processing. 8 bits is called a Byte (abbreviated to upper case B), which is enough space to e.g. store the letter 'A' in binary = 0100 0001. Bits are often used as a measurement in networking. The term mega should officially only refer to the SI prefix of 106 = 1 000 000 and similarly for the other SI prefixes. Windows does not measure a megabyte in this way. Hard disk manufacturers measure their hard drives as per this IEC Standard, while most ISPs / Internet Service Providers also measure this way for our Australian mothly download quotas ...and our Australlian excessive ISP overrun charges. The binary terms such as mebibyte sound strange at first but this is 'the new megabyte'. The word comes from an abbreviation of megabinary byte. Remember 8 bits to a byte! Also 125 000 divided by 1024 = 122 kibibytes but it seems Google disappointingly doesn't even understand kibibytes and doesn't perform calculations with the KiB abbreviation yet (as at March 2009). This equates to real download sppeds of approx from 400kB/s - 2MB/s - there are 8 bits in a Byte but you lose some bits due to networking overhead so dividing by 10 is a good rule here. A combination of mega binary bit, this term is least used since networking always used decimal meanings. The bibits can also be abbreviated in two ways, for example Kibits or Kibs. Based on Sengpiel Audio ...what about Zebi and Yobi ? ?